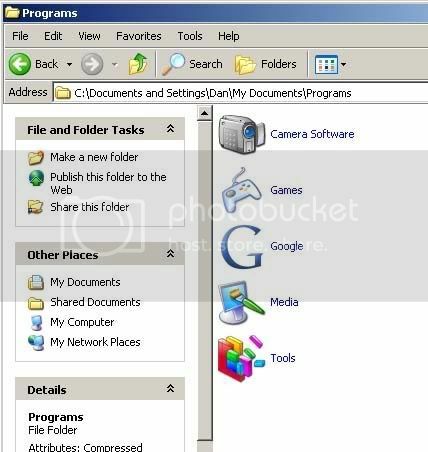 First of all start off by creating a new folder in 'My Documents'. 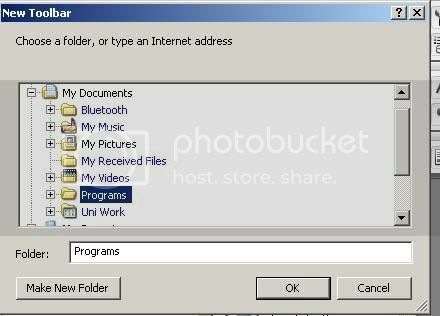 I've called mine 'Programs', but you can call it whatever you want. I then had a look at what my Desktop shortcuts actually were and sorted them out in to different sub headings. 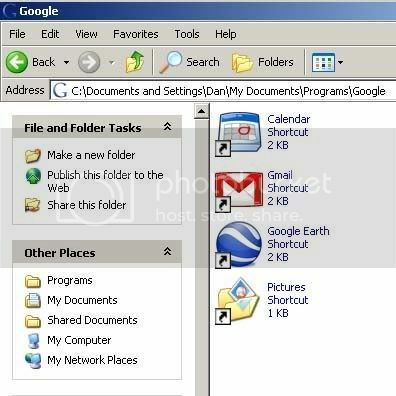 I created a new folder for each subheading and copied the shortcuts directly to that folder from the desktop (drag and drop being easiest).For example, in 'Google' I had the shortcuts to all my online Google services. Press OK. 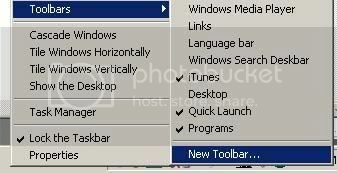 Your toolbar has now been created and you can access all your shortcuts from one place, with less clutter. I also use this method, but with a minor variation. Very limited space is available on the taskbar, so I dragged the new toolbar to the right edge of the screen to make it a "deskbar". I resized the bar's width to accomodate the length of the shortcut names, then enabled Auto-Hide. Moving the mouse to the extreme right causes the list to spring up.